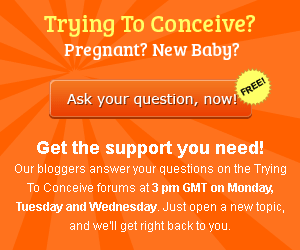 The general consensus is that getting pregnant in your twenties and early thirties is easier, and also that your nine months will be easier once you do conceive a baby. But just how much added risk do you and your baby face when you decide to get pregnant when you are 45 or over? A lot, according to a newly published Israeli study. The study, published in the journal Fertility and Sterility, followed 131 women who were pregnant in their mid forties and beyond and found that a whopping eight out of ten faced some kind of complication. The 313 womens pregnancies were followed between 2004 and 2008. The studys participants were between 45 and 65 years old, and were all first time mothers. Only five of all this studys participants got pregnant without the help of IVF. All had struggled with infertility previously, and many had been pregnant but suffered miscarriages before the pregnancy that was tracked by the studys authors. So, what was the researchers verdict about the risk of getting pregnant after age 45? Lets take a look. Four in ten of the subjects developed gestational diabetes. Two in ten ended up with the dangerous pregnancy condition preeclampsia. Its interesting to also note that almost all of these moms babies were born through cesarean section, and that a third of them were born prematurely. We have to wonder whether those two can be related? Elective c-sections, scheduled at some point before the womans due date, could sure result in a preemie. Women who were in their fifties rather than late forties were found to have a higher chance of having low birth weight babies or premature babies. Half of all babies born to mothers aged 50 to 65 were born prematurely, and two thirds weighed less than 2,5 kilos at birth. Obviously, the clinic that treated these women had no age limits for IVF.